Turkey scouting follows along two options, that of pre-season or pre-hunt. Pre-season turkey scouting is often concurrent to a fall deer trip. Goal is identifying flock locations. Pre-hunt turkey scouting would encompass a first day or two of any trip itself being scouting days by glassing mostly from vehicle or foot. Once a flock/roost is identified that hunter would reserve any such spot to his use. A common method: One most advocated by recurring members of those that must travel across state lines to spend some days on Association lease land. It is to spend their first couple of days as scouting days. Turkey scouting is primarily to identify roost locations, flydown, feed location, water, to connecting movement routes finding placement of setup location. Setup (decoy) hunter is one who does have higher success within our open agricultural region. All of this is different than with a hunting club that may have feeders posted to concentrate a flock. Without feeders to modify flock behavior Association folks are on a true hunt seeking to interdict natural turkey behavior. Run & gun hunters often scoff at setup hunts with a natural or manmade blind finding that sedentary method simply too boring. In any case we allow all their own style. Because of freedom of choice we have seen through long number of years many run & gun hunter change his ways. Not just to tag more toms. But also due to ability to have long range, a long time to directly observe toms coming to call. A new pleasure. Some find this a new experience lasting upwards around 40 minutes or longer. Much longer then often heard but unseen big woods tom which shows but 30 seconds before a shot. Then there are those who find being able to watch a tom which closes without making a sound a thrill. A comment told to us several times each year. Many hill country hunters find this last aspect of open ground turkeys the last straw to try a setup as a means to refine his calling and decoying art. Plenty of pictures. Look at background terrain. A common comment from those traveling in from big woods states is how easy it is to spot flocks in our central mid-west ground. Turkeys seek easier to eat crop field waste grain or greens than scratch old acorns. Both these pictures are from November deer hunts. 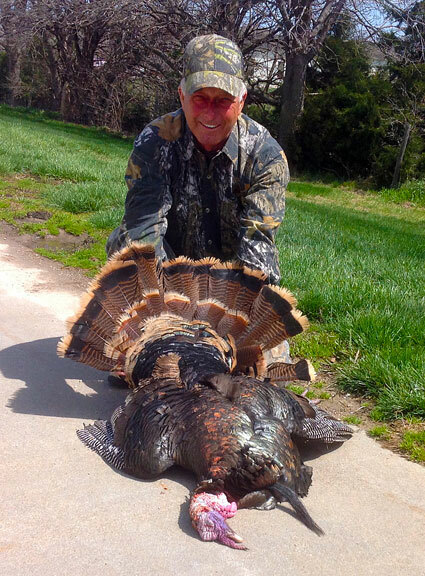 Turkey scouting agricultural land in Missouri, eastern Kansas (western Kansas is different) or Iowa. It consists of row crop adjoining river, creek bottoms, timbered draws, tree lines, large to small timber plots. Majority of non-resident hunters relate prime cover to large timber. Large timber is unquestionably prime habitat in many turkey areas, not all. We have several large timbered ranches leased to suit those who prefer big timber. However, most MAHA leased land is involved in productive agriculture, we would like to pass on a few turkey scouting tips gathered over years relating flock behavior to crop land. Compared to heavily timbered regions where mouth locator calls being a primary source to locate gobbling birds, on cropland habitat where visible by sight makes them easy to follow from a distance with or without binoculars. 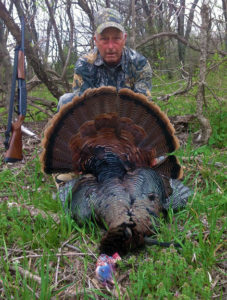 One main advantage of open range turkey scouting is gobbling birds can be scouted just as easily as birds not gobbling. Putting a bird to roost by sight rather than sound gives hunters a better understanding of where to set up come morning. But like turkeys anywhere they can slip out a back side on any given day. Frequently found drainage provides good concealment covering hunter movement to cut off or sneak up on one which may have slipped him on his first approach. Patterns of cropland cause flocks to change with weather. Agricultural practices of farmers further weather based similar effect flock patterns. Short green fields become prime feeding and strutting areas, but once plowed then planted birds typically move to higher ground or nearest green field around. We recommend scouting a day before your hunt to assure conditions have not changed to your disadvantage. Changing reservations a day before the hunt is permissible and understood by us. 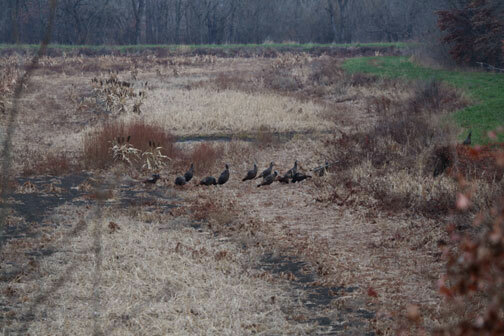 As seasons progress it is common to see cropland turkeys move to isolated fields often not visible from roads. Keeping long distance from flocks, toms or any singles is best. Turkey scouting from a ½ to ¼ of a mile with an aerial photo in hand is a good tip for scouting late season cropland turkeys. 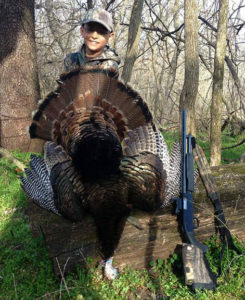 Turkey scouting may be conducted year round. No surprise in this statement. It reflects our year long Association payment structure. 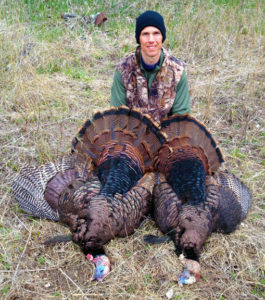 Good binoculars key to turkey scouting. Many flocks can be readily observed at long range. Easily found. Even for those that fly in for a weekend of scouting arriving on Friday, securing a rental car, scouting Saturday all day, Sunday morning then flying out Sunday afternoon. 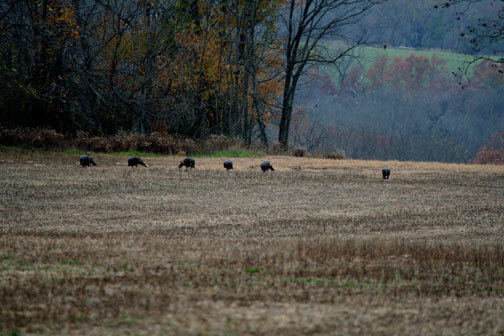 Having at least two flocks/ roosts identified allows flexibility if something changes from scouting until a hunt. 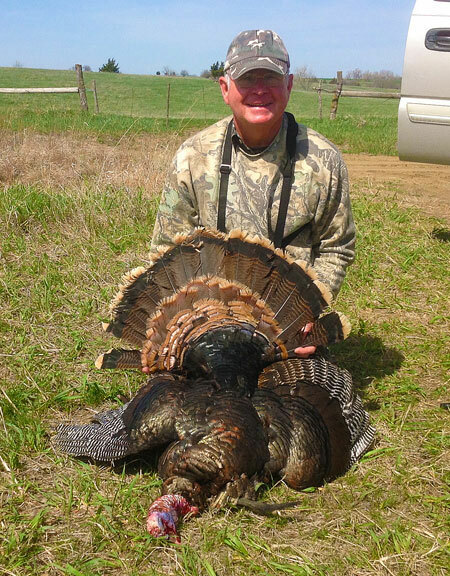 Turkey scouting, deer hunt any same locality of 2,000 to 4,000 acres of leases quickly allows hunters to identify game patterns. Repetitive familiarity with enough spots to enhance tag success is recognized by all. To gain that amount of lease land knowledge may take a self guided hunter about three years of time. A price of do it yourself hunts. Hunter must conduct all preliminary activities rather than pay a guide service to locate wildlife. n some cases some leases are seasonal. Some leases limited to upland birds only. Another restriction include our wetlands. They are for waterfowl only. 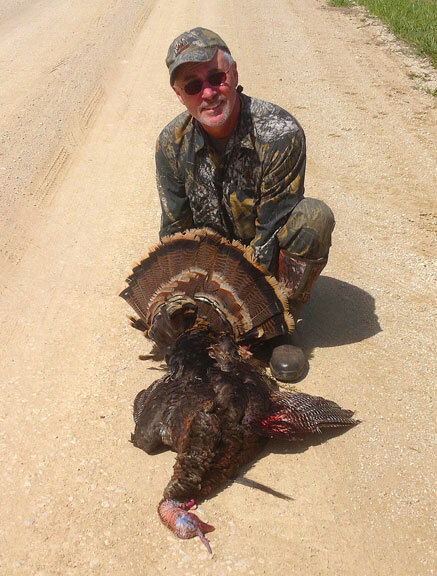 Turkey hunters will have more places to go turkey scouting then hunt than time.